Home > Plant Care > In the Garden Blog > Why should you use coffee grounds in the garden? Should you use coffee grounds in the garden? Yes! Did you think coffee grounds were only for acid-loving plants? Oh, no. It can be applied to just about anywhere and trust me, the plants and the earthworms are going to love you for it! Spent coffee grounds, if used correctly and in moderation, are an excellent way to wake up the plants in your garden. At coffee shops and home, spent coffee grounds generated every day are FREE for you to use in your garden. Your garden gets all the benefits while helping to reduce the amount of coffee waste going to landfills. Plus, they make the garden smell good! 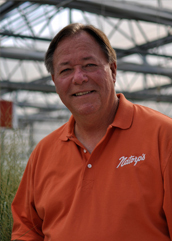 Excellent source of organic matter added to the soil, whether in-ground or in containers. Sprinkle with plants and water it in. Azaleas, hollies, hydrangeas, evergreens, blueberries (acid loving plants) especially appreciate a shot of coffee grounds. However, they can be used in all areas of the landscape, lawn, and garden. Rose growers have been using coffee grounds around their roses for years! Side dress plants with up to 1/2 inch of used coffee grounds; re-apply after the properties de-compose. Sprinkle into mulch, over the lawn, etc. Be sure to water afterward. Used coffee grounds have been reported to act as a natural ‘soil’ insect repellent, including slugs and ants. 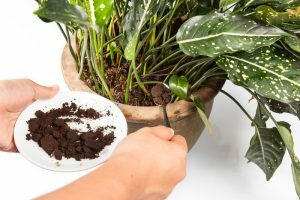 Sprinkle of few grounds around the top of the soil in your indoor plants, or mix in with the potting soil when repotting. -Add them to your compost pile (10-20% of the collection) – they help speed up the composting process. Adding them to the compost or mixing in the soil – earthworms will love you for it. Also, the more worms, the better your soils will be. Also, use them for vermicomposting (combined with other worm-feeding materials). (Paper coffee filters can be composted as well.) -Homebrew liquid fertilizer, using about ½ to 1 pound of wet used grounds in 5 gallons of water. Let sit for 24 hours and apply around plants. Are there plants that don’t prefer coffee grounds? Yes, here are some: White / red clover, alfalfa, Italian ryegrass, Chinese mustard, asparagus ferns, geraniums, and inch plants (seed included). Even if you don’t drink coffee, take advantage of the FREE used coffee grounds at the office or local coffee shops and shared them with your soil, earthworms, and plants.